Liverpool’s docks transformed the fortunes of the city. Their story is a 300 year journey that turned a small, regional port into one of the world’s great maritime centres. Marking the 300th anniversary of the city’s Old Dock – the world’s first commercial wet dock– this exhibition covers the period from the 18th century up to the present day. Personal stories show how the waterfront has changed and the impact it has had on the city and the lives of local people. In addition to stunning photographs of waterfront workers and buildings throughout Liverpool’s history, visitors will be able to see the first-known painting of Liverpool; the itinerary for Prince Albert’s visit to the city to christen the Albert Dock, and a register of vessels showing the first ship using the new Albert Dock in 1846, in addition to huge dock scales used to weigh cargo. 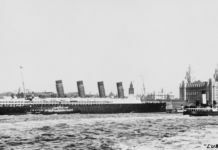 A section dedicated to the Three Graces will include reproductions of two newly donated Stewart Bale images of the Cunard building under construction, which have never been displayed before. They show the construction of the iconic Liverpool building during World War One and one of the photographs, dated 1913, is now the oldest image held by the Museum within its Stewart Bale collection. The exhibition also recognises 21st-century changes to the waterfront including another National Museums Liverpool’s venue, the Museum of Liverpool. Opened in July 2011, this Museum revived the area as the bridge between the Albert Dock and the Pier Head, allowing people to walk the length of the city’s waterfront to take in not only the Museum of Liverpool but attractions including the Merseyside Maritime Museum, International Slavery Museum and Tate. The Museum of Liverpool has received more than 3.8 million visitors since first opening, and became England’s most visited museum outside of London in 2012. “The landscape of Liverpool’s maritime heritage is now a defining symbol of the city and forms part of its World Heritage Site. On the Waterfront is a record of the changing fortunes of the port, the city, and its people. It’s an important story and we are delighted to be able to tell it on the historic 300th anniversary year of the opening of Liverpool’s Old Dock, the world’s first commercial wet dock. “Merseyside Maritime Museum itself was once a warehouse for high value goods like tea, silk, sugar and spirits in the Port of Liverpool’s Albert Dock – a powerhouse of industry. While Liverpool’s docks relocated downriver towards Seaforth, the building fell into disrepair as part of the wider decline and fall of the city’s traditional docks. “But in 1986 the building reopened as the Merseyside Maritime Museum – the first public building to open at the dock -starting the renaissance of the waterfront, and becoming the venue we know today; one of the most visited museums in the region. 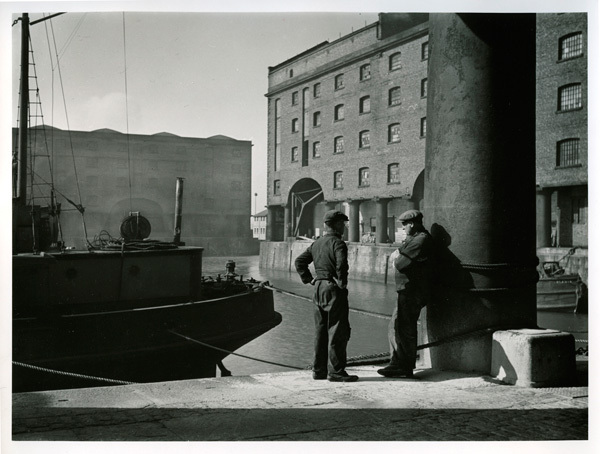 This building is a perfect encapsulation of the story we are showing in the wider exhibition – the changing fortunes of the docks – and we are proud to be opening it here”. “The city’s docks are famous around the world and we look forward to seeing the new exhibition which I’m sure will be fascinating. “Anyone who visits the city understands the key role the docks play in today’s Liverpool. That role is set to grow in importance as we continue to make the most of the city’s best asset: its waterfront”. For more information see liverpoolmuseums.org.uk/waterfront and #waterfront300.